Jurgen Klopp singled out midfielders Fabinho and Jordan Henderson for special praise after the Reds’ disappointing 2-1 defeat by Manchester City at The Etihad on Thursday night. The Reds were beaten for the first time in the Premier League this season as Pep Guardiola’s men managed to claim the three points and move to within four points of the leaders at the top of the table. Sergio Aguero opened the scoring with a fine finish in the first half, before Roberto Firmino equalised for Klopp’s men after the break. However, it was Leroy Sane who had the final word, as his neat finish went in off the post and secured the three points for last season’s champions. Henderson played the full 90 minutes at The Etihad, while summer signing Fabinho came off the bench for James Milner in the 57th minute. And Klopp singled out both midfielders for praise when reflecting on the game in his post-match news conference. 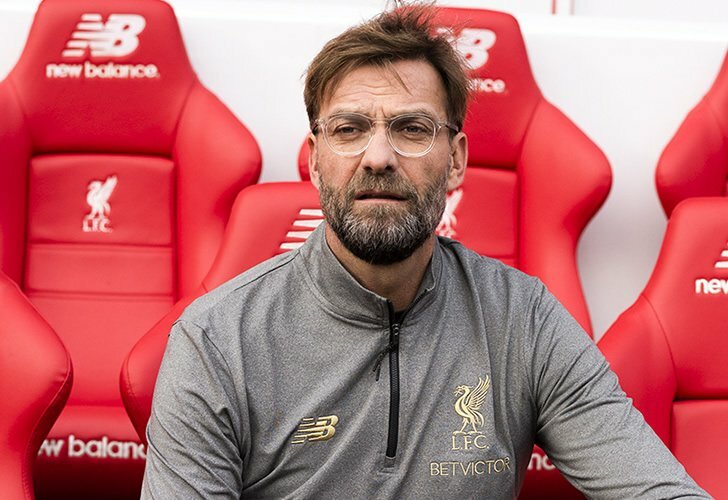 “Of course Fabinho was good, but Hendo was really impressive [too],” Klopp said. “Offensively I think we had already more moments in the game, but obviously when we played football, and that’s what we showed the boys at half-time, immediately we were a major threat for them. “We came through, we passed through, the chance of Sadio was brilliant, we had other moments when we played the ball and when we took it and accelerated. The result still leaves Liverpool FC four points clear at the top of the Premier League table. The Reds will return to top flight action when they take on Brighton away from home on Saturday 12 January. And Klopp has insisted that he and his team-mates will not dwell on the disappointment of Thursday’s loss for very long. “We want to finish the season as good as possible and that’s our right, we can do that,” Klopp continued. “We are still in a pretty good position so it’s all fine for us.